This article was originally featured in the Tennessean. A link to the original post can be found here. Even if we feel occasionally nostalgic for the 1970s, most people are content to leave their leisure suits and bell-bottoms in the attic until Halloween. Society learns from its fashion faux pas, but government rarely corrects its regulatory blunders. Tennessee’s antiquated Certificate of Need laws, often referred to as “CON” laws, are a disco-era policy that is holding back innovation. Adopted in the 1970s, these laws require the government’s stamp of approval before providing more health-care services, such as opening a new hospital or purchasing high-tech medical equipment. Worse still, CON laws allow existing hospitals to protect their profits by shutting out competitors. Imagine if government required a grocery store to demonstrate that its products are needed — and are not objectionable to its competitors — before allowing it to open a new location or expand its selection. Such a scenario would be unthinkable — the local Kroger could block Publix from the neighborhood. Yet that’s precisely what occurs in the health-care industry, where the decision to issue a certificate of need is heavily influenced by existing health-care competitors. CON laws were encouraged by the federal government with the goal of controlling health-care costs. Instead, CON laws have had the opposite effect of increasing costs and limiting patients’ access to health-care services. In fact, these laws are such a failure that even the U.S. Department of Justice and Federal Trade Commission are encouraging states to abandon them. Recent studies by economists at the Mercatus Center at George Mason University found that CON laws not only raise the price of medical care by preventing new medical providers from competing with existing hospitals, but they also reduce the availability of medical equipment and hospital beds. The authors found that states with CON laws averaged 99 fewer hospital beds per 100,000 residents and had a lower availability of MRI services, CT scanners, and optical and virtual colonoscopies. The authors also discovered that CON states have 30 percent fewer rural hospitals than states that have scrapped their CON laws. According to the Mercatus economists, “the price of medical care is likely higher under CON regulations, while the poorest Americans see no increase in the availability of care.” Likewise, a Kaiser Family Foundation study found health-care costs are 11 percent higher in CON states than in non-CON states. Despite the decades-long track record of failure, Tennessee continues to operate under a CON regime for health care, to the detriment of patients. CON laws are not just bad policy for Tennesseans; they’re also illegal. Tennessee’s Constitution prohibits government from restricting competition because monopolies “are contrary to the genius of a free State.” CON laws give established businesses veto authority over new or expanded services, allowing hospitals to protect their profits and stifle innovation. Not surprisingly, many existing hospitals oppose CON reform because they don’t want competition. It’s not uncommon to see businesses use government force to beat the competition. But using the government to stop doctors and medical facilities from serving more people is exactly the sort of monopolistic behavior Tennessee’s Constitution was designed to prohibit. Tennesseans should rethink whether this top-down, bureaucratic approach to health care that puts the profits of the most powerful health-care interests above patient access and more affordable health care is right for the state. Should new health-care providers be required to beg bureaucrats (and would-be competitors) for permission to bring health-care services into their communities? Abolishing CON laws puts health-care decisions back where they belong: with patients, doctors and communities. Lawmakers are considering a bill that would end most CON restrictions, giving them the opportunity to ensure that everyone, especially the most vulnerable, can have the access and care that best suit the community’s needs. Government should be freeing health-care providers to give more patients access to care, not supporting policies that give them less. Far from protecting the public, CON laws keep high-quality, low-cost medical services from those who need them. Lawmakers need to remove these anticompetitive barriers that prevent doctors and medical professionals from providing the care they are trained to give. 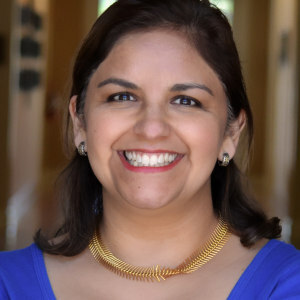 Naomi Lopez Bauman is director of health-care policy at the Goldwater Institute and a senior fellow at the Beacon Center of Tennessee. Jim Manley is a senior attorney at the Goldwater Institute.